We warmly welcome all Carnival Spirit Cruise Ship Passengers to Hawaii. We hope you enjoy your visit to the Hawaiian Islands. Hawaii offers an abundance of excursions and activities to delight Spirit cruisers of all ages and activity levels. From sight seeing tours, helicopter flights, snorkeling tours to a traditional Hawaiian luau, the Hawaiian Islands has it all!! 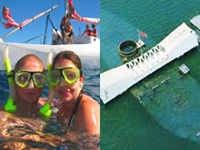 Hawaii Cruise Excursions offers a variety of options for you to choose from. Our rates are direct rates from the operators which allow you to save money while providing you with a greater selection of shore excursions to choose from. Island Marketing Ltd recommends excursions for your visit to Hawaii based on the Spirit arrival times and departure time as well as the length of your visit. We also take into account the number of cruise ships arriving on the same day your ship comes to port. We then can provide you with options on how to avoid the busy excursions when this is appropriate. Please have a look at our Carnival Spirit recommended excursions and itineraries . If you don't find what you are looking for, click on Excursions in the top navigational buttons for a full listing of excursions. We are diligently working to bring you the best tours available in the Hawaiian Islands. The Hawaiian Islands are uniquely situated in an ideal environment that provides access to incredible sea and land adventures. 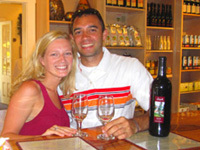 We specialize in unique and boutique tours in addition to our "best for less" excursions, offering excellent value for some of the most popular tours. 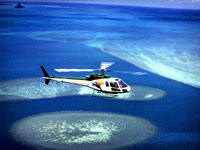 Island Marketing Ltd offers tours and excursions for almost every budget and individual need. 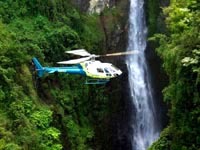 Hawaii Cruise Excursions are tour and excursion experts representing the best independent operators in Hawaii. We provide firsthand information on each and every excursion we offer and recommend the excursions that work best for you. That's the Island Marketing Ltd. difference! Join us for one of the most spectacular shows on Earth. 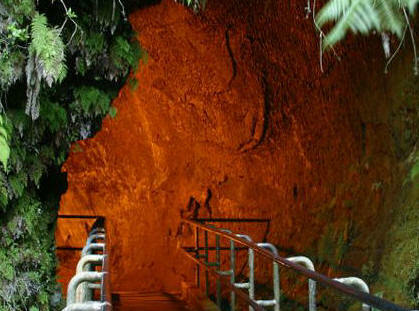 This is a tour that combines the very best of Hilo, Hawaii, taking you to a beautiful cascading waterfall, beautiful botanical gardens, a black sand beach and the most active volcano in the world, the Kilauea Caldera. The effects of the volcanoes on the Big Island have been dramatic! 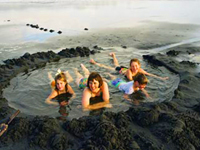 On this tour you will see the ruins of a town consumed by the lava, walk on frozen lava fields, swim in a natural thermal volcanic pool and visit the newest black sand beach in the world! On our Volcanoes National Park + Volcanic Thermal Pool Swim you will experience the volcanoes on the Big Island in 5 unique ways! This excursion will literally knock your socks off! 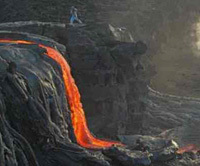 Join us for one of the most spectacular shows on Earth, The Big Island Volcano National Park and Rainbow Falls Tour. This is the best volcano tour offering a once in a lifetime opportunity to view the most active volcano in the world, the Kilauea Caldera. Fly high on the Big Island of Hawaii. Admire the ever changing colors and landscape of Hawaii Volcano National Park unfold as rainforest gives way to barren lava fields. Immediately after take-off, you will fly over dense rainforest and lush valleys with streams and pools filled by cascading waterfalls!!! 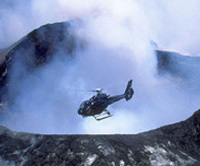 Xtreme DOORS OFF Helicopter Tour is an impressive and dramatic way to take in the full majesty of the largest active volcano in the world. The birds eye view you will have is breath-taking as you fly over tropical rainforests, waterfalls and the massive Kilauea Caldera. Kona is rich in Hawaiian history and our guides will take you on an historical cruise along the Golden coast, sharing tales of Kona's unique history and folklore. 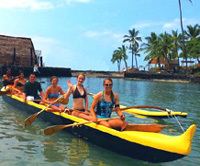 This tour combines a ride on an Outrigger, a traditional Hawaiian canoe with a relaxing beach day where you can swim, sunbath and snorkel, directly from your beach lounging chair. 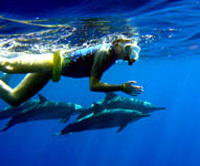 Come experience the true Swim With the Dolphins Experience on the beautiful Kona Coast of the Big Island of Hawaii! The Hawaiian Spinner Dolphins are year round residents so you can expect to see them and swim with them whenever in Hawaii. The experience of a lifetime, not in a pool, this is the real thing!!!! The waters off the Kona Coast are truly blessed with an outstanding abundance of marine life. We have over a half dozen different whale species that live in Kona's waters year round. On this combination adventure zodiac tour, you will snorkel Kona's pristine waters and cruise the beautiful golden Kona Coast for Dolphins and Whales. 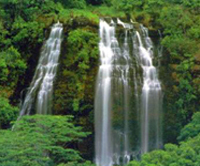 On this outstanding sightseeing excursion you will visit Kauai’s picturesque East Coast with its characteristic swaying palm trees, beautiful beaches and sacred Heiau ruins; The North Shore has shear mountain cliffs, emerald green Taro Fields; and a river boat ride up the Wailua River to the Fern Grotto. This exhilarating airplane tour will take you over areas of Kauai where no one has ever set foot, hidden places that can only be discovered from the air. 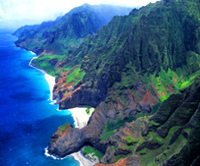 You will see many site locations that have made Kauai a favorite of Hollywood movie makers. Come with us and experience the true flavors of Maui on The Taste of Maui Island Tour. No other island is like Maui; this island has the best growing climate for tropical flowers, exotic fruits, sweet berries, vineyards and breathtaking fields of lavender. Enjoy an amazing tour of Maui, sampling fresh, gourmet Hawaiian products throughout your excursion. 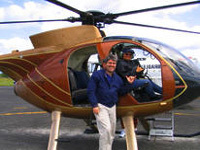 Strap in and fly high above the magnificent island of Maui Hawaii on a breath-taking Island Helicopter tour. There is no better way to see so many incredible sites or to photograph the splendor of this awe inspiring exotic paradise. 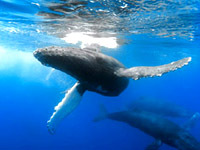 Hawaii is one of the world's most important habitats for the magnificent Humpback Whale. Every year, approximately two-thirds of North Pacific humpback whales (estimates range from 4,000 to 10,000 whales) migrate to Hawaii's warm waters to mate, and to bear and nurse their calves. Join us for an enchanting eco-friendly Whale Watching Adventure. December 15 to April 15 only. Experience TWO of the the very best attractions that Honolulu has to offer in just one day; a morning sail along the crystal blue waters of Waikiki Beach and an afternoon tour the famous and historically important Pearl Harbor. Your day in Oahu begins with a visit to Pearl Harbor where you wil view a dramatic film containing actual footage of the attack on Pearl Harbor, and then board the official Navy Boat to visit the Arizona Memorial. 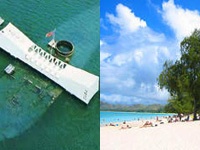 After Pearl Harbor, you day continues with a Private Island Tour of Oahu. Join us for one of the most spectacular tours of Oahu. 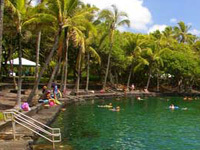 This is an exclusive tour offered only by Hawaii Cruise Excursions. Discover the best of Oahu where you will Oahu from coast to coast. 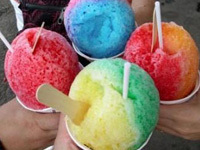 You will see impressive landmarks, have a chance to try Hale'iwa's famous Shave Ice, experience stunning views of Oahu and visit at one of Hawaii's most beautiful beaches. On this Private tour you will visit some of the most beautiful locations in Oahu, have time relax on one of Oahu's best beaches, and take photos from some of the most amazing locations in Oahu. 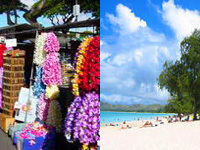 This is an exclusive tour offered only by Hawaii Cruise Excursions. 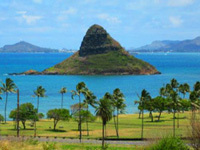 Experience a spectacular tour of Oahu on our Best of Oahu's Famous Landmarks Tour. 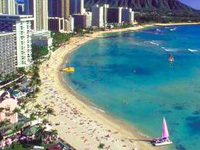 This is an exclusive tour offered only by Hawaii Cruise Excursions. Discover the best of Oahu on your own Private Tour where you will see amazing landmarks, experience stunning views of Oahu and visit at one of Hawaii's most beautiful beaches. Welcome aboard our Waikiki Beach Catamaran Snorkeling Excursion for a 2-1/2 hour guided sailing and snorkeling adventure. Snorkel the clear waters off of Honolulu and swim with graceful sea turtles, occasional spinner dolphins, and an abundance of colorful Hawaiian tropical fish. Dolphin sightings are common as they play and race off of the bow of the boat. Welcome aboard our Waikiki Fireworks Cruise. Our Catamaran departs at around sunset and cruises the famous shoreline of Waikiki as the sun sets over beautiful Oahu. 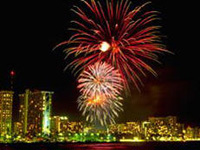 Join us Friday nights for a spectacular fireworks show over Waikiki Beach. Cruise under the stars and moon as fireworks cascade into the sea. This cruise is a must do for everyone visiting Oahu. Enjoy the ultimate excursion with a Waikiki Private Catamaran Charter.Our luxury Catamaran can accommodate up to 30 passengers making this an idea excursion for those that want to enjoy a private relaxing cruise along Waikiki Beach. 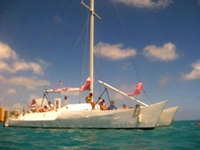 Choose from Snorkeling and Sail, Sunset Sail or Fireworks Cruise. For something with a bit of an adrenaline rush, this is a tour that no one will ever forget! You will fly over gorgeous waterfalls, exotic valleys, and world famous surf points with the doors completely removed from the helicopter. 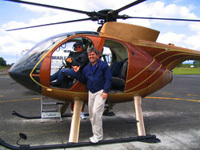 Oahu is dramatic and beautiful and this is the best way to see Oahu in all its grandeur. On our Oahu Complete flight you will view all of Oahu's famous landmarks, including Diamond Head Crater, Waikiki Beach, Pearl Harbor and Honolulu City. Hover beside the dramatically beautiful Sacred Falls, a sheer and splendid 1000-foot cascading waterfall and take in the famous dramatic North Shore including the massive waves of Sunset Beach and the Bonzai Pipeline; world renowned surfing hot spots. We guarantee a full refund of your excursion deposit if your ship can not make it into port in Hawaii. Our Hawaiian Islands Experts are standing by to check availability for you or help you choose an excursion.